Monica Melissa Patterson looks to the gallery during her murder trial Monday, Oct. 23 in the 370th state District Court at the Hidalgo County Courthouse in Edinburg. This story has been updated to include information about Patterson’s notice of appeal. 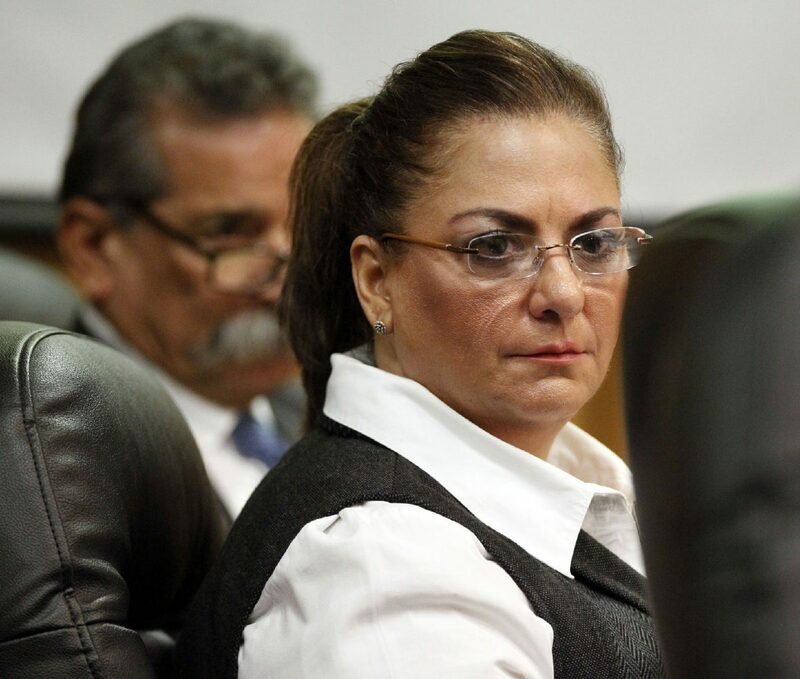 EDINBURG — Monica Melissa Patterson’s motion for a trial has been denied. Patterson, 50, requested a new trial on all four counts for which she was convicted in November 2017: capital murder; aggravated theft of a nonprofit of more than $100,000 and less than $200,000; misapplication of fiduciary property; and attempted theft of more than $200,000. Patterson, who was sentenced to life in prison without parole, is accused of murdering Martin Knell Sr., 96, in January 2015 to access his money and estate. She is also accused of stealing money from Comfort House, the nonprofit hospice center where she served as executive director. District Judge Noe Gonzalez denied her motion Tuesday after hearing her appellate attorney’s arguments and those made by the state last week and considering “all the associated briefing and case law,” according to his order. Her attorney, Brandy Wingate Voss, filed a notice of appeal Wednesday. The appeal will be heard by the 13th Court of Appeals. Patterson’s co-defendant, Angel Mario Garza, will have a pre-trial hearing Jan. 22. According to witness testimony during Patterson’s six-week trial, Garza — who donned a pair of plastic gloves — allegedly smothered Knell with an unknown object while Patterson stood by. Garza did odd jobs around Comfort House and Patterson allegedly drove Garza to Knell’s house on the morning of the murder.